The climate for legal Maryland sports betting has certainly changed in recent years. As one of the latest states to even legalize casinos, it should come as no shock that MD is now a huge proponent of regulated sports betting in the United States. Maryland lawmakers have been making a conscious effort to improve the perception of sports betting on both a statewide and federal level. With the Supreme Court overturn of the Professional and Amateur Sports Protection Act (PASPA) in 2018, the state is well on its way to joining the handful of other states that formally offer legal sports betting. Though legal sports betting in Maryland is on the horizon, residents have options other than visiting a land-based sportsbook, which do not yet exist. The state is home to millions of sports fans that place bets on the Ravens, Orioles, and other hometown favorites every day. This is made possible by legal MD sports betting sites that operate offshore but are completely safe for residents to use. Many Maryland residents have questions about the overall legality of sports betting in MD from both a land-based and online standpoint. We will cover all facets of MD sports betting, giving you the details you should know about gambling laws and how to safely place sports bets in the state. 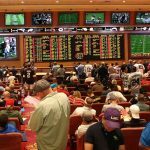 Is Land Based Sports Betting Legal In Maryland? Land-based sports betting is not legal in Maryland, though the pastime is definitely on its way to the state (particularly as neighboring states gear up to offer the same and so pose a financial threat to MD’s coffers if state legislators don’t act quickly enough). However, for now, if you want land-based sports betting, you will need to visit nearby Delaware, West Virginia, Rhode Island, or New Jersey. These are the only northeastern states that currently offer legal land-based sports betting opportunities. Online sports betting has not been made illegal in Maryland, though you will not find licensed online sportsbooks within the state. Due to federal laws such as the Wire Act of 1961, sports betting sites cannot operate from within the US when it comes to serving customers from other states, as it would be considered sending sports betting information via wire communication. Such laws do not exist in the countries where offshore sportsbooks hold their headquarters, however. These sports betting sites are still licensed to take MD sports bettors, which is why residents can safely use these offshore sportsbooks. With no state laws to penalize those who place sports wagers online, MD residents have nothing to worry about. Even with the popularity of sports betting in the state, you will not yet find any brick and mortar locations at which to bet on sports in Maryland. This is because PASPA, while still active law, made it impossible for Maryland or any other state (excepting Nevada) to open physical sportsbooks. Now with PASPA a thing of the past, Maryland has a lot of work to do to get its own regulated sports wagering industry up and running. That being said, most MD residents use online sportsbooks to bet on their Terps and other teams. 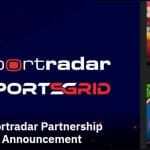 Offshore betting sites make it possible to use your computer or smartphone to place bets while waiting in line at the grocery store, hanging out at the bar, or even just sitting on the couch. Using the Internet is truly the only way to bet on sports while remaining within state lines in Maryland, at least for the time being. Offshore Maryland sports betting sites are those that are operated overseas but accept MD sports bettors. These sites are licensed and deliver all of the sports betting action that residents are looking for. You will find all major American sports at these sites, including football, basketball, baseball, hockey, tennis, golf, and more. International favorites like league soccer, rugby, cricket, boxing, MMA, and others are also fully represented. 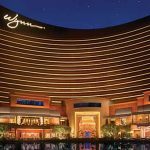 Offshore sportsbooks give you all of the betting options that you would find at a Las Vegas sportsbook without having to step foot outside of your house. The latest betting lines and huge bonuses that are offered make offshore, online sports betting websites the preferred choice for MD bettors. Though these sites are not regulated in MD, they are regulated in their home countries, and they offer everything you need to have fun betting on sports – particularly piece of mind. At these sites, payouts are always prompt and guaranteed, so you never have to worry about being scammed out of your winnings. These sites have withstood the test of time and are all A-plus-rated. Understanding legal Maryland sports betting and gambling laws can seem somewhat tricky at first glance. Though the state does have laws pertaining to certain types of gambling, sports betting is not one of them. There are no state laws that expressly mention sports or betting on sports. When it comes to casinos, the state got its first licensed venue in 2008. Maryland Code § 12-102 describes prohibited types of gambling, including illegal bookmaking. Maryland Code § 12-105 prohibits riverboat gambling, which is why you will find that none of the casinos in the state are on floating barges or other vessels. Maryland Code BR 11-101 covers all aspects of horse racing, including the authorization of the pari-mutuel wagering system. Maryland has one of the longest-standing histories with horse racing betting in the nation. The state is home to the second oldest horse race track in the US, Pimlico Race Course, which opened in 1870. This Baltimore racecourse hosts the Preakness Stakes, the second jewel of the famed American Triple Crown of Thoroughbred Racing. Each year, millions of horse enthusiasts bet on the Preakness and win big. Currently, there are four active horse race tracks in the state of Maryland where fans can watch and wager on races. These include Pimlico Race Course (Baltimore, MD), Laurel Park (Laurel, MD), the Casino at Ocean Downs (Berlin, MD), and the Rosecroft Raceway (Fort Washington, MD). There are also several Maryland off-track betting options, including online racebooks. Daily fantasy sports in Maryland are regulated and excluded from the state’s gambling laws. The first DFS-friendly law was passed in 2012, the state Comptroller implementing new regulations in 2017. MD does not require DFS operators to pay a licensing or registration fee, which is something that many states do enforce. Under state law, participants must be at least 18 years old and initial deposit limits are set at $1,000 but can be increased. Maryland has a favorable attitude toward daily fantasy sports, with some of the fairest laws in the US. Can I Bet Real Money On Sports In Maryland? You can bet real money on sports in Maryland as long as you use an online sports betting site located overseas. Betting real money on the Baltimore Orioles or Washington Redskins makes watching the games even more exciting. You only need to make a small deposit, select your wager type/amount, and then start making a profit on winning bets. Real money sports betting in Maryland is quite popular considering the collegiate and professional teams that call the state home. You can get started by joining any of the real money sports betting sites that are currently accepting MD residents. Is Online Sports Betting Safe In Maryland? Online sports betting is completely safe in Maryland, with plenty of offshore online sportsbooks for residents to choose from. In regards to legality, there are no state laws that prohibit sports bettors from using overseas sites. Online sportsbooks are also 100% secure, meaning that all sensitive information is protected. Your financial transactions are encrypted and there are multiple convenient banking options. The personal information you provide – such as your name, address, and email – is not sold to third-party sites. You can feel safe using a trustworthy online sportsbook for legal Maryland sports betting. 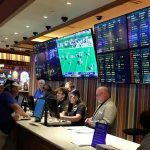 Will Sports Betting In Maryland Ever Be Legal? Yes, it does seem that sports betting in Maryland will be legal in the near future. There are numerous states in the region that have already legalized the pastime, and MD knows it must step up to the plate for its own residents. Legal Maryland sports betting has been a topic of conversation with state regulators, with several legislative measures being brought to the table. Now that the federal sports betting ban is lifted, sports betting will certainly become legal in Maryland. 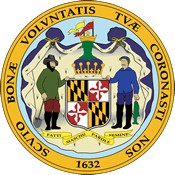 Will I Get Arrested For Sports Betting In Maryland? You will not get arrested for sports betting in Maryland as long as you use a legitimate sports betting site. If you bet on sports with an underground network or other unauthorized local bookmaker, you will be in clear violation of the law. However, since there are no laws against offshore sportsbooks, your risk of getting in any kind of legal trouble is next to nothing. There have never been any instances where a Maryland sports bettor was arrested for wagering on sports online. 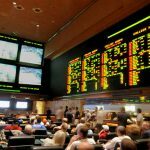 What Is the Sports Betting Age In Maryland? The sports betting age in Maryland is 21 years old. Once you reach your 21st birthday, you can join any online sportsbook and enjoy legal Maryland sports betting. As you start researching different sites, you may notice that some sportsbooks accept players as young as 18 years old. You will still need to abide by Maryland state law and wait until you are at least 21. If not, you are at risk of underage gambling, which is a serious offense. Also, if you violate your sportsbook’s TOS regarding age limits, this will result in account suspension and forfeiture of funds at your online sportsbook. Are There Mobile Sports Betting Apps Available In Maryland? If you are using MD online sportsbooks, you will find that there are mobile sports betting apps available as well. All of the best sports betting sites also offer mobile betting platforms that allow you to take your sportsbook with you wherever you go. You will be able to fund your account, claim bonuses, place bets, and request payouts, all from the palm of your hand. Some apps even offer free bets just for betting from your iPhone or Android device. Maryland mobile sports betting is the most flexible way to bet on the Baltimore Ravens and all of your other favorite teams. Where Is The Best Place To Bet On Sports In Maryland? There is not a “best place” to bet on sports in Maryland, since there are no local sportsbooks yet open to the public. However, even when these brick-and-mortar books do open, the best way for Maryland residents to bet on sports will likely still be to use an offshore online sportsbook that features all of the latest sports betting action. After all, these books are so robust that they out even the best books in Sin City to shame. Should I Use A Local Bookie In Maryland? You should never use an unauthorized or unlicensed local bookie in Maryland, as it is expressly against the law. In Maryland, gambling is illegal unless conducted at a licensed casino facility. While you likely wouldn’t get in legal trouble for placing bets with such a shady service, you have no legal recourse if that bookie skips out with your cash (or has it confiscated by the police). Frankly, with a local bookie, there is no promise of payment and the interactions can be dangerous. Either drive to a nearby state that already offers on-site sports betting (New Jersey, Rhode Island, Delaware, West Virginia), fly to a Vegas sportsbook, or use an online sports betting site when you want to place sports wagers. It should be crystal clear which of these three options is the most accessible and convenient. Do Any Casinos In Maryland Have Sports Betting? No, currently there are not any casinos in Maryland that have sports betting. However, spokespeople for the Maryland Live! Casino have vocalized their support for bringing legal Maryland sports betting to the venue in the future. Maryland casinos generate more than $540 million each year that goes solely to public programs such as education. Gaming regulators realize how the addition of sports betting to MD casinos would only further improve the local economy. Until the state legalizes betting on sports, Maryland residents can use online sites that offer both casino games and sports betting opportunities. Can I Bet On Sports With My Friends In Maryland? Social gambling is not allowed in Maryland, meaning that placing a bet on sports with friends is technically illegal within state lines. Though enforcement is essentially impossible if you limit your activities to private gatherings, it is still safer to enjoy legal Maryland sports betting online with your friends. There are various wagers and sports for you all to bet on, and you never have to worry about the online sportsbook not paying out when you win. Save your friendships, and bet online!